Our favorite pieces of upholstered furniture always get the most use and wear and tear. Stains are inevitable with normal, everyday use. However, thanks to our unique upholstery cleaning, they don’t have to be permanent! 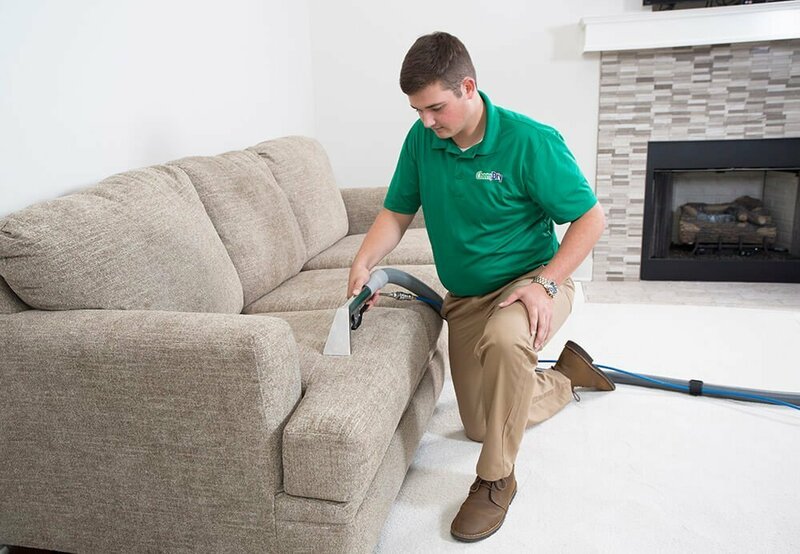 Upholstery cleaning from Van’s Chem-Dry is the solution to even the toughest stains on your favorite furniture. We are experts in bringing furniture and upholstery to its cleanest and freshest condition. We can clean a wide variety of fabrics better than any other upholstery cleaners in the Sacramento and Elk Grove areas. Chem-Dry’s secret to healthy and effective upholstery cleaning is in the power of carbonation. Our carbonated solution, The Natural®, uses millions of tiny bubbles to release stains from fabric fibers. Our process then pulls all that dirt and grime to the surface. We created cleaning equipment that agitates fabric in a very safe and gentle way to separate the stains and dirt. We are the smart and eco-friendly upholstery cleaners that you need in Sacramento and Elk Grove, CA.